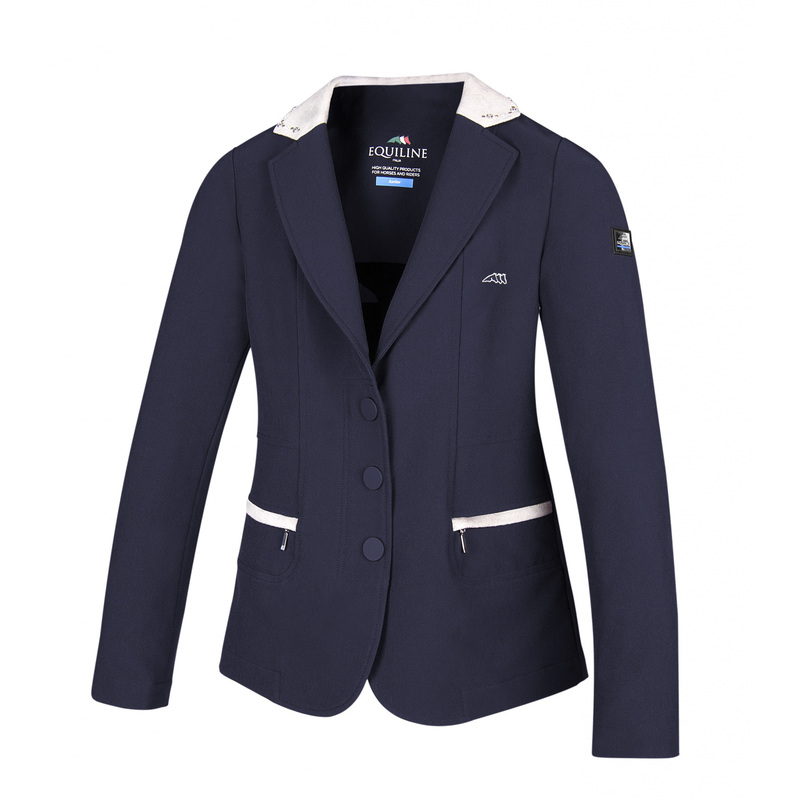 Girls' show jacket Ambra, which is exceptionally comfortable for a little rider due to its elasticity and high breathability properties. 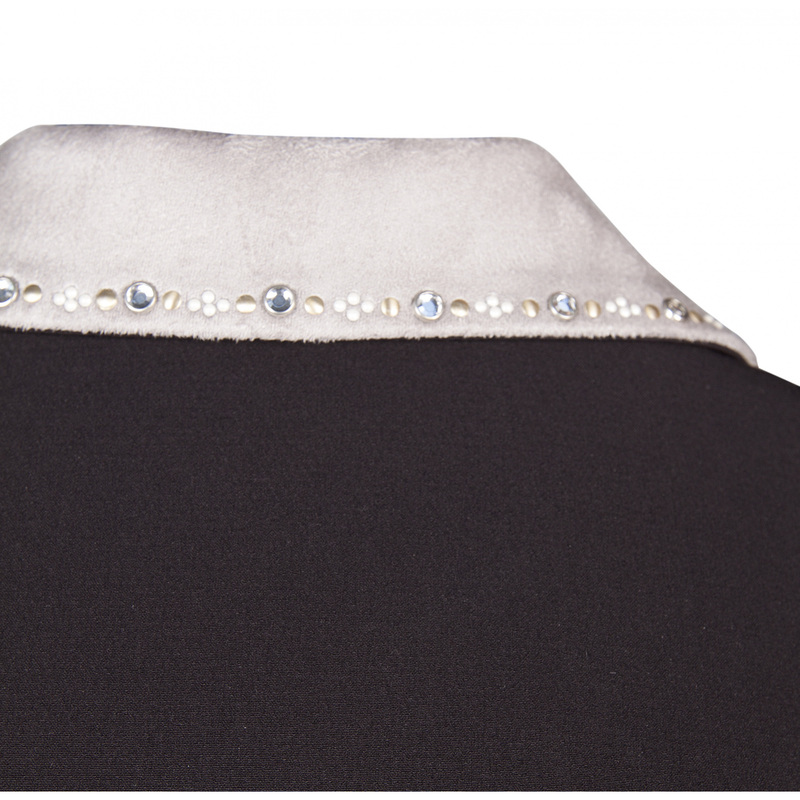 There are brighter stitches for decoration above a pocket on the collar made of alcantara material. It is beautifully waisted, available in a few colouristic versions. The jacket is fastened with buttons. 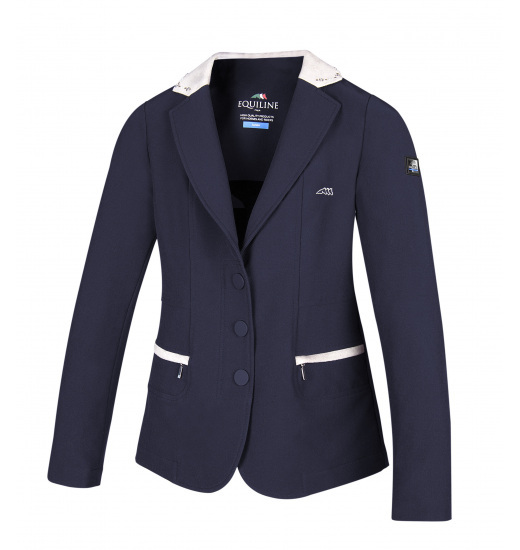 It has an Equiline logo embroidered on the chest and a very small brand's emblem on a shoulder.